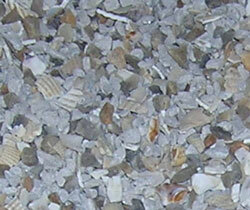 Oyster Shell Grit for Poultry. 4-7mm size. Suitable for all adult laying hens. Ad lib access to Oyster Shell will help the chickens to form good shells on their eggs and supplies them with a source of calcium. There are currently no questions for Chicken Grit Chick Oyster Shell Grit - be the first to ask one!